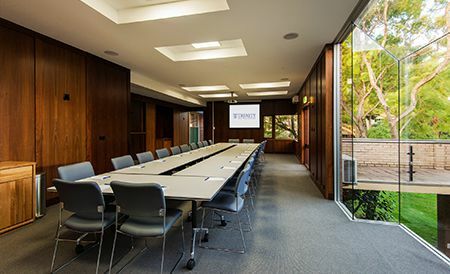 Boutique conference facilities & affordable accommodation in a beautiful environment; with easy access to the city, Kings Park, hospitals & UWA. Flexible and personal service with modern facilities and quality catering. Trinity provides all the services and facilities to suit your event. Air-conditioned, en-suite rooms with parking and breakfast included; with full use of our gorgeous landscaped gardens and communal areas. At Trinity on Hampden, we provide our guests with premium, affordable accommodation in Crawley, a centrally located area. Staying with us means staying in a primary location and having an array of eateries, bars, and attractions at your fingertips. Trinity on Hampden provides all-inclusive conference facilities and comfortable guest accommodation all year round. Our flexible and personal service will ensure your event is a success. 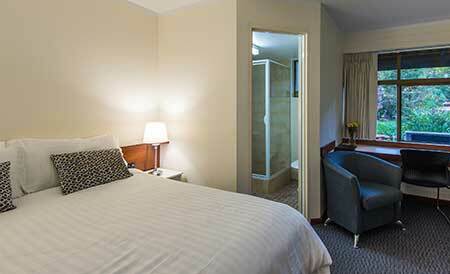 Stay in our air-conditioned, en-suite rooms, which are perfect for business or leisure travel. Complimentary breakfast and parking are also included. Feel free to relax in our beautifully maintained gardens and make use of our common areas. We’re conveniently located within the heart of the Western Suburbs whilst still being very close to Perth’s CBD, providing our guests with easy access to the city, Kings Park, Fremantle, beautiful beaches and of course our local Nedlands café strip, which is only a short stroll from your room. Looking for affordable accommodation near the University of Western Australia? Trinity on Hampden is perfect for those seeking accommodation near UWA, as we’re located directly opposite the university campus. Our accommodation in Crawley is only a short distance from Subiaco, a busy suburb which offers a wide selection of restaurants, cafés and shops with attractions including the Subiaco Art Centre and the Regal Theatre. Claremont is also close by, where you will find Claremont Quarter, a fashion destination that has a large variety of fashion brands and retail outlets. 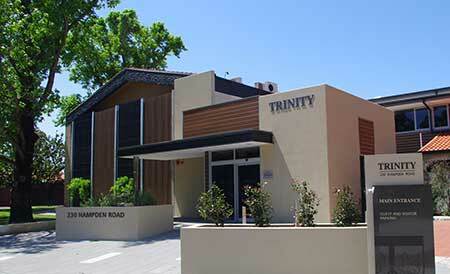 If you’re looking for an alternative to on-campus UWA Accommodation, then Trinity on Hampden is the perfect choice. To book or for further information about our accommodation, contact us today and start exploring all this wonderful area has to offer.